1. Focused Relaxation – Find a quiet place where you can sit and relax and just focus on your breathing. Just breathe in, breathe out. Don’t think. Count your breath until you reach 500. 2. Contemplating the Shadow – This is all about balancing a certain paradox – that in public speaking, you are both the center of attention and the least important person in the room. 3. Opening Your Senses – Be in the moment. Experience the present. Allow yourself to open up sensually to your surroundings. Ever since PowerPoint 2007, SmartArt has already been available. Presenters use this when they want to convert bulleted text into a diagram to make the slide presentation more appealing and less tiring to the audience. What SmartArt does is basically turn the slide into a visually attractive graphic rather than a boring page full of text. When these options are not enough anymore, then one can turn to SmartArt. PowerPoint showcases a lot of SmartArt configurations and layouts. You won’t run out of designs to choose from. 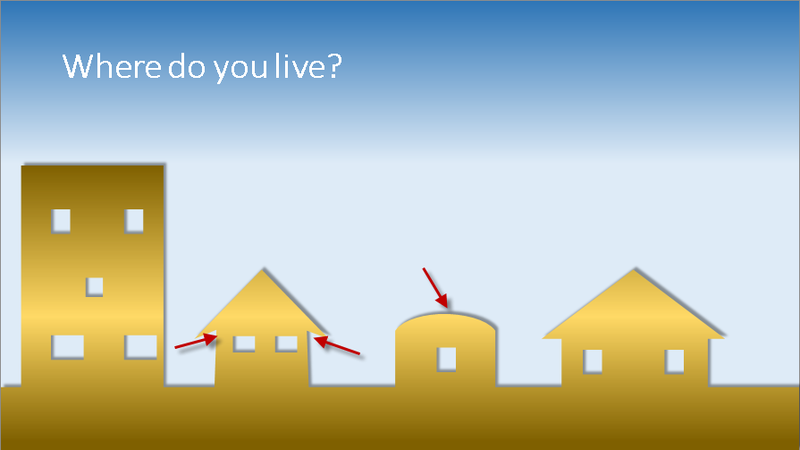 When presenting, do you use objects on your slides? Are you able to portray the image you want using custom objects? Presenters or PowerPoint users oftentimes use custom objects to make their slides more interesting. It gives more meaning to the whole presentation and makes it more engaging for the audience. Warm Up – by smiling, being friendly, creating rapport and making your audience feel welcome and comfortable. Make It About Them – I’ve mentioned it time and time again that presenting or public speaking is not about you (the speaker or presenter) but about your audience. So make it about them. Make it worth their while by telling and showing them the benefits they’ll get by attending your presentation. Match their level of energy. Be like them and they will like you in return. Find the Funny – Humor always makes people feel good and when they feel good they participate and engage themselves more. Engage – Do this by telling your story, asking them questions and letting them participate. Build Anticipation – Do this by introducing a new idea to your audience but don’t give them all the answers just yet. It’s like teasing them. It will keep them on their toes. Are you the type of presenter who uses PowerPoint most of the time? 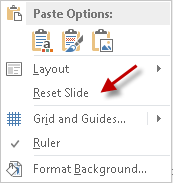 If so, are you aware of some things you can do in order for you to work faster in PowerPoint? Below are some awesome tips you can take note of to cut the hours it takes for you to make your PowerPoint presentation. The ribbon is often the slowest way. Use the toolbar instead. Right-click is your friend. It quickly gives you the results you want. Love your keyboard shortcuts. This is by far the fastest way to get the job done. Customize the Quick Access toolbar. This is the one at the upper left of your screen.